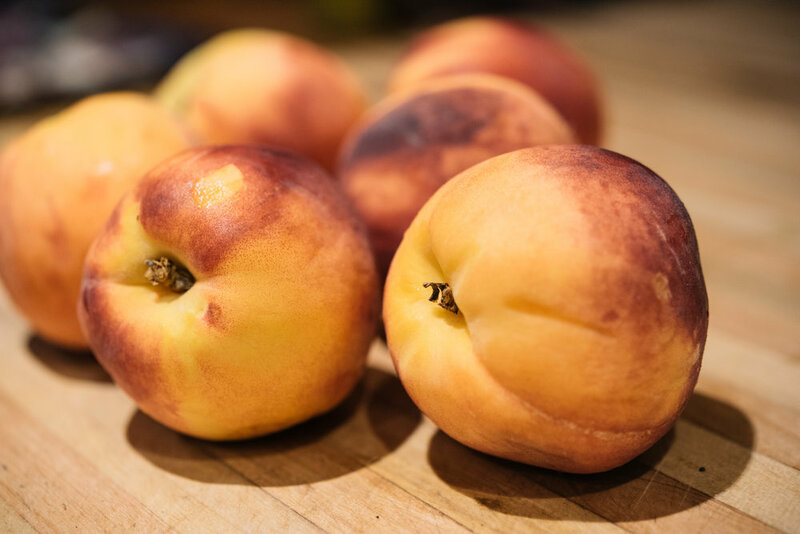 The peaches from my latest Lake Superior CSA's fruit share were at their peak of ripeness -- sweet with a nice firm texture. They were perfect for grilling because they wouldn't turn to mush and, while I've never grilled a peach before, I figured the non-mushy factor was key. Other than that, the components of the salad were pulled from the fridge -- I had burrata and prosciutto on hand from the Chequamegon Food Co-op and there were red onions from Great Oak Farm in the vegetable box. I never keep the markers for what's planted in my garden so I have no idea what variety of basil this is but man, it's a serious producer and seems to thrive with my benign-neglect gardening style. You can substitute another herb in the salad, if you aren't a fan of basil -- thyme or oregano would be good stand-ins. 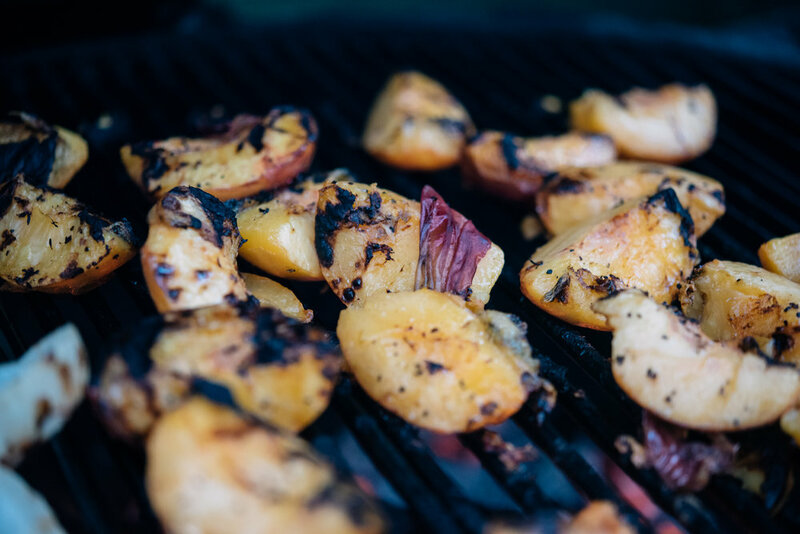 Light the grill or preheat a grill pan on the stovetop. Place the cut peaches in a bowl, drizzle olive oil over top, and sprinkle with salt and pepper. Grill, cut side down, for about 5 minutes, or until lightly charred, and then flip and grill for another 5 minutes. Remove from grill and let cool. 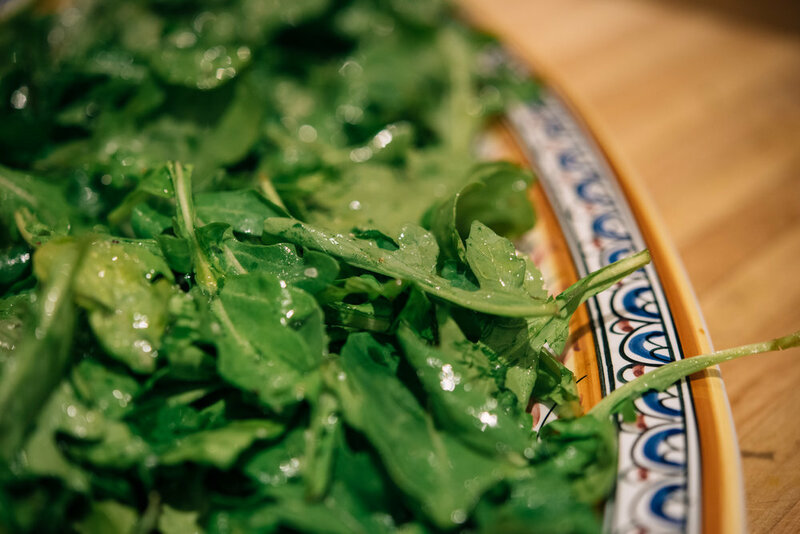 Whisk the lemon juice and olive oil in a bowl, add the arugula, toss to evenly distribute the dressing, and place on a platter. 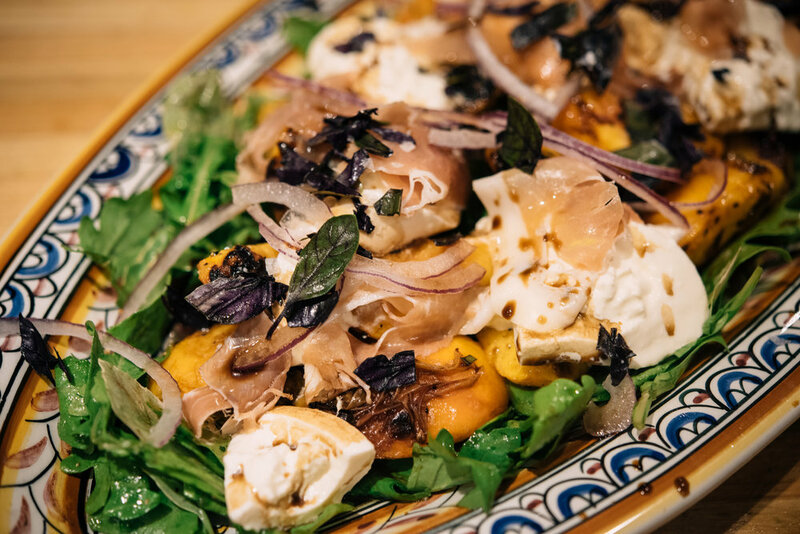 Place the peaches, red onion, prosciutto, burrata, and basil leaves on top, sprinkle with balsamic vinegar, Maldon sea salt, and pepper, Serve immediately.